Local police departments across the state will trade in their badges for aprons on Saturday, Oct. 24. That day, 18 local Red Robin restaurants will host Tip-A-Cop fundraisers with the Law Enforcement Torch Run for Special Olympics Illinois. Officers will be waiting tables, collecting “tips” and selling Torch Run merchandise from 11 a.m.-3 p.m. and 4-8 p.m. 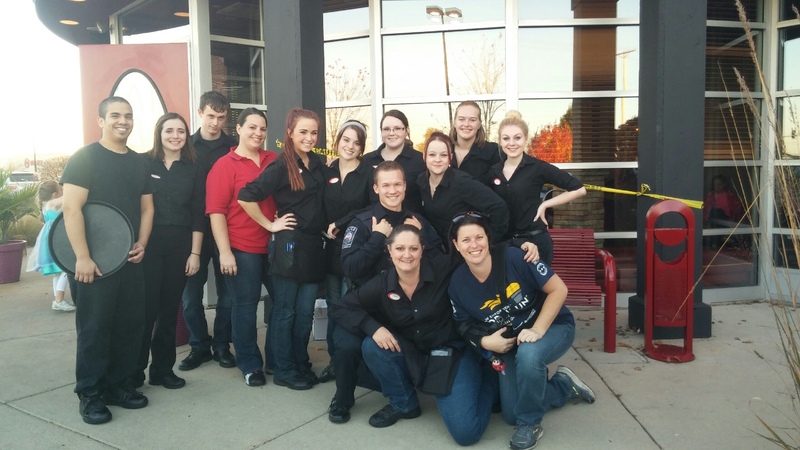 The Edwardsville location will host their Tip-A-Cop event on Saturday, Oct. 17. Last year, the Lockport Police Department began participating in the Red Robin Tip-A-Cop fundraiser, which has been going in Illinois for 10 years. There isn’t a Red Robin location in Lockport, said Officer Debbie Schenk, so the department was asked to volunteer at the Plainfield location when the Plainfield department wasn’t able to. “My favorite part of Tip-a-Cop is sitting down with members of the public and explaining to them about Special Olympics and the Law Enforcement Torch Run. It’s a great way to inform people who haven’t heard about Special Olympics locally,” she said. For information on participating Red Robins, click here or contact Katie Herriott at 309-533-3725.